IFG can help individuals and families learn more about how to save for college, and can help them pick a plan that works for their needs and budget. 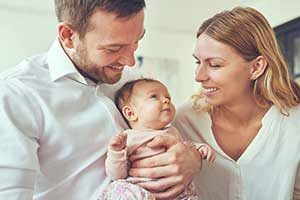 Our Benefits Consultants can work directly with our clients to help families of employees to learn more about the variety of options available to them, and decide which type of college savings plan will fit their needs and budget. Individuals and families who work with IFG will help maximize their children’s educational funds by making an informed choice about the optimal plan for them. 529 college savings plans are a special type of account that are designed to help individuals and families save money for college. These plans were named after a section of the tax code, and are sponsored by states or educational institutions. They are a simple and effective way of putting aside money for college, as participants can set up a monthly contribution to help ensure regular savings. This type of plan is subject to both state and federal regulations. There are two types of 529 savings plans, each of which has its own advantages: prepaid plans and savings plans. For most parents, grandparents, aunts and uncles, the prospect of saving for college is a daunting one. However, IFG’s Consultants can help clients understand the full range of college savings options, including the different 529 college savings plans available in their state. By working with our Benefits Consultants, families will be able to effectively plan for their children’s future and help ensure that their money is well-invested to provide for their children’s college education.